Since birth, Nyx has been betrothed to the evil ruler of her kingdom-all because of a foolish bargain struck by her father. And since birth, she has been in training to kill him. But Ignifex is not at all what Nyx expected. The strangely charming lord beguiles her, and his castle-a shifting maze of magical rooms-enthralls her. What a synopsis, am I right? One thing I have to add is that there really should be some mention of Mythology in the synopsis for this book. The first part of the book is so completely wrapped in Mythology that I was wracking my brain trying to figure out how all of the gods fit together in this world. Then it tapers off a little bit, not in a bad way, but enough that this really could have been a retelling of Cupid and Psyche, it even has Hades and Persephone elements, and it definitely directly circled around Pandora. That isn’t to say that there aren’t elements from fairytales, Cruel Beauty also had some strong emphasis on Beauty and the Beast and Bluebeard. This might seem like an array of randomness thrown together but I promise that it all falls together nicely. One of the best things about Cruel Beauty was the imagery throughout the novel. Rosamund Hodge does a fantastic job of making it so as a reader, you are right in the moment, discovering things as vibrantly as Nyx sees them. There was so much to love and so much that made me yearn to discover the castle with Nyx. The rooms shifted so one never knew what they were going to discover while walking through the halls. The different “hearts” that Nyx was made to find were all magnificent in their own way, and there were moments that I saw the stars glow around me, and felt the sunshine on my face while reading. My favorite thing about the novel was the way in which the characters come into their own skin. In some novels, characters grow with one another and meld to fit into a couple who compliment one another. In Cruel Beauty, Ignifex sees the cruelty in Nyx, and he loves her for it. His acceptance of her is what helps Nyx cross a very important line. A line that proves that her happiness is indeed worth it and she realizes that she is unique but not wrong in her harsh characteristics. Additionally, Ignifex does not change to make Nyx happy, nor does he ever hide his true self. He relishes in his strength and the fact that he holds himself higher than mere humans. Throughout the novel they learn to trust one another and their relationship grows because most importantly, they understand and accept one another. As I touched upon above, the relationships in this novel were excellently done. I appreciated the angst and resentment that Nyx felt toward her family, and I really didn’t like her sister despite how sweet she was thought to be. I understood how hard it must have been for Nyx to feel resentment toward her, simply because she was not chosen for the same fate. Her need for acceptance and pride from her father only made it more heart wrenching and it only made me feel more for Nyx and the way in which her destiny was thrust upon her. I was rooting for her throughout, not for her to accomplish her goal of killing the demon lord, but for her to find herself and make her own happiness not based on the expectations of others. I am so happy to say that she accomplished this goal in a really great way. Ignifex was mysterious, charming, and yes, cruel. I don’t even know how to tell you guys how much I loved him and his red cat like eyes. When he showed vulnerability throughout the novel I just melted into a puddle. Shade is another mysterious character in Cruel Beauty and I didn’t know what to make of him, I never really felt completely for him or his plight, and I didn’t completely trust him, but I liked the way in which his story was resolved. 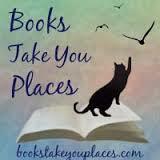 I think the relationships in this novel were beautifully done, I swooned and yearned and ached in wonderful ways. It is no question that Nyx has a very important task set before her, and she doesn’t shy away from it. She was strong and interesting and the novel centered around her need to fulfill her task and also fulfill her own happiness. I can’t say that I didn’t figure out some plot twists, but I definitely didn’t see the details in which they unfolded beforehand. It made for a very detailed and riveting story line. Overall this was a bittersweet, darker fantasy novel that I positively loved. I was enthralled and completely swept off my feet, which is really all a girl can ask for from a demon lord. This entry was posted in Reviews and tagged Beauty and the Beast, Bluebeard, demons, fantasy, love, mythology, retellings, romance, strong heroines, swoons, young adult. Bookmark the permalink. I just love a good demon lord. 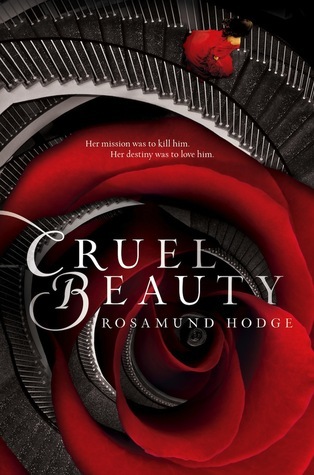 You seriously expressed a lot of the things I liked best about Cruel Beauty in your review so, so well, and I LOVE IT. It was a pretty magical (and trippy) experience to see everything about the place through Nyx’s eyes. I also found Nyx to be very fascinating and appreciated her relationship with Ignifex too. While this book didn’t precisely hit my sweet spot, it was pretty darn good! Word, that’s the most you can ask of a demon lord. Also, the relationship between Nyx and Ignifex is totally my new OTP. I LOVED IT. And I love that quote you put in about being cruel and kind and love. Man, this book. I had like a book hangover and like an abundance of feels after finishing it.